Before the unfortunate events of the Synod of Florence took place, the Papal-controlled West was trying with all its might to subjugate the politically storm-driven East. Even the Emperor Michael Paleologos worked towards this goal: he wanted to stay faithful to his oath to Pope Gregory X, given after the blinding of John Lascaris and the usurping of his throne in the thirteenth century. 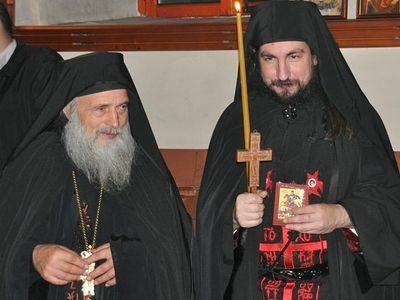 The patriarch at that time, John Vekkos, acted according to the apostate opinion in accordance with the plans of the emperor. He thus subjugated the Eastern Church under the Papal throne of Rome at the Second Synod of Lugdunum (Lyons). As is well known, the Latins were "convincing" the Orthodox to their delusions not through the word of the Gospel but using the other well-known method of Papism: the naked sword and violence. Thousands of people became martyrs under their swords for the purity of the Eastern Orthodox faith. The Holy Mountain always was (and still is) the protector and support of the suffering Eastern Church. For this reason the Latins wanted to destroy this bedrock of Orthodoxy. Thus, they entered the center of Orthodox resistance, the Holy Mountain, and tried to convince the monks by words of persuasion, promises of riches, but also (where such promises did not work) through threats and even tyrannical violence to accept the power of the Pope of Rome on Athos. A few monks proved weak and cowardly and accepted the money but most of these accepted the Latins and their money out of fear of what awaited them if they denied: tortures of unspeakable pain. 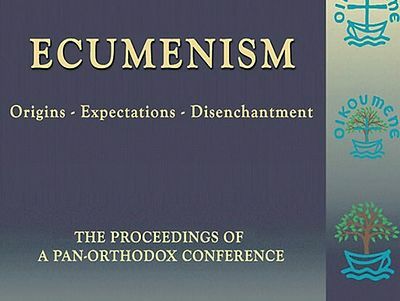 A much larger number of monks of course stayed put in their position and confessed Jesus Christ as the sole Head of His Indivisible and Uncreated Body and chastised the Pope's sacrilegious usurping of a Vicar Vicarius exousia that did not belong to him. This way these monks shed their blood for Christ and stand now as witnesses of the Truth in the Church Triumphant, victorious martyrs of the Christ they never denied. Unfortunately however, the attack was fierce, and precisely because some monks did yield under the pressure of promises and tortures, two monasteries were lost to the Latins: the Lavra and Xeropotamou. The monks in these two monasteries accepted the Latin intrusion with a subservient fear. A large part of this terrible concession was accomplished through the help of the traitor emperor who was helping the Latins to ensure these monks would deviate towards Rome's unsound dogmas. God however, Who does not abandon His Church, in order to strengthen the faith of the monks and help at least some of the deviant Latins return to the Truth, punished the Monastery of Xeropotamou. One day, when these pitiful Orthodox monks were conducting the newly-introduced profane liturgical acts together with the Latins, a large earthquake shook the grounds. The garrison houses, fortification towers and the very foundations of the monastery fell, together with many of the Latins and deviant Orthodox monks, all of whom were instantly killed. The other Latins who had arrived from Italy did not pay attention to this clear wrath of the Heavens and spread out around Athos with rage, trying to find new victims for their delusions. During these very trying times for the Holy Mountain there lived a monk near Zografou Monastery who undertook solitary asceticism, with great labors and struggles. This monk had the holy custom of reading the Akathist Hymn many times while praying in front of the icon of the Mother of God. One day, while he was chanting "Rejoice O unwedded Bride" he heard from the icon: "Rejoice too, O Elder of God!" The elder was frightened but the voice continued calmly: "Do not fear, but rush to the monastery and announce to the brothers and the abbot that the enemies of myself and of my Son have drawn near. Thus, whoever is weak in spirit let them hide in patience. Those desiring a martyr's crown let them stay inside the monastery. Leave quickly." Obedient to the voice and will of our All-Pure Lady, the monk abandoned his cell and ran as fast as he could towards the monastery in order to warn the brothers. When he reached the gate of the monastery, he saw the very same holy icon he kept in his cell right in front of him! He immediately prostrated himself before it, and with great reverence took it inside the monastery and presented himself to the abbot holding the icon. The brothers were greatly distressed upon hearing the news. The weaker ones immediately left and hid in the mountains or inside caves. Twenty six monks, however, including the abbot, felt brave enough to stay in the monastery. They went up to the tower, awaiting their enemies and the wreaths of martyrdom. The Latins were soon outside the monastery. Initially they motioned to the monks to have the gates opened to let them in: if they acknowledged the primacy of the Pope they would have nothing to fear but his mercy and a wealth of gold. The monks replied to them from the top of the tower: "And who told you that your Pope is head of the Church? From where does this teaching of yours come? For us, the Head of the Church is only Christ! It is easier for us to choose death rather than give in and defile this holy place by your violence and tyranny. We shall not open the gates of the monastery! Leave now!" The Latins replied with rage: "Die then! "; and gathering wood around the tower lit a large fire to burn the monks alive. The flames rose up to the heavens and were diffused in the wind—the monks did not give in but stayed put in their spiritual outspokeness, glorifying the Lord and praying that He forgive their enemies. In this way, they were made perfect in martyrdom on the 10th of October 1274. The names of these holy champions are kept in the Code of the Zografou Monastery, as well as in the Horologia of the Bulgarian Church. The holy icon through which the elder had heard the voice of the Mother of God warn him of the arrival of the enemies of Christianity had been placed inside the tower together with the martyrs-to-be. Afterwards, however, it was found wholly unscathed by the fire which burnt the monastery to the ground. In memory of this great miracle, they placed this holy icon inside the temple of the Dormition of the Theotokos, on top of the veil, where the despotic icons (i.e. of Christ) are normally placed. An unsleeping lamp burns in front of the face of our All-graceful Virgin and Mother: small, yet always flickering. 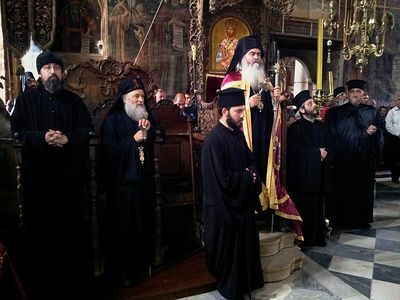 On May 9, 2013, the Athonite Bulgarian Monastery Zographou celebrated its patronal feast--the commemoration of Holy Great-Martyr George the Victory-Bearer.